Aimersoft DVD Creator is the best DVD burner software, this super DVD Creator helps you convert AVI to DVD, MP4, MPG, MPEG, 3GP, WMV, MOV, FLV to DVD etc, with this DVD Movie Creator can burn DVD movie played on portable and home DVD players. With this super DVD Creator you can also crop,trim your movie and adjust it's effect, specify NTSC or PAL, adjust 4:3 or 16:9 video aspects and select burning DVD movie disc or DVD folder or ISO files. This super DVD Creator can burn DVD movie from AVI, MP4, MPEG etc. 3. 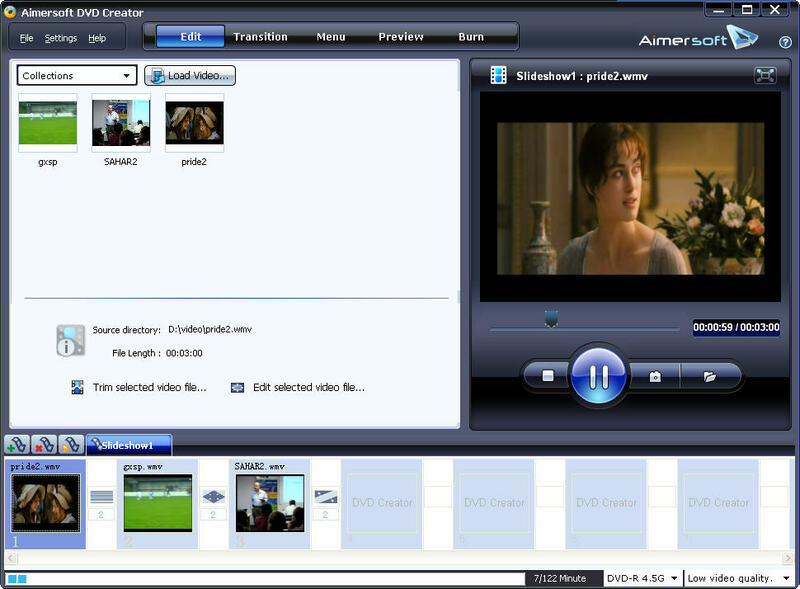 Aimersoft DVD Creator support DVD-5 and DVD-9; DVD-R, DVD+R, DVD-RW, DVD+RW, DVD+R DL, DVD-R DL, DVD-RAM supported. Qweas is providing links to Aimersoft DVD Creator 2.0.0.53 as a courtesy, and makes no representations regarding Aimersoft DVD Creator or any other applications or any information related thereto. Any questions, complaints or claims regarding this application Aimersoft DVD Creator 2.0.0.53 must be directed to the appropriate software vendor. You may click the publisher link of Aimersoft DVD Creator on the top of this page to get more details about the vendor.